Oriana Fallaci, is dead at the age of 77 after a long battle against cancer. I read two of her books, "Nothing, and so be it" - translated into Persian as Life: War and Nothing Else - and her "interview with history" when I was a child in Iran. She must have been the only woman ever to have taken off her chador in front of Ayatollah Khomeini. As a former anti-Fascist partisan during World War II, I am not surprised Fallaci had guts. She wrote a series of articles and books, critical of Islam and Arab culture, that have surprise surprise angered the Muslims, who seem to be the only people allowed to be offended! Since 9/11, Fallaci dedicated herself in the fight against "the greatest threat to Western civilization since the Cold War, Islamofascism". “Europe is no longer Europe,” she told The Wall Street Journal in 2005. 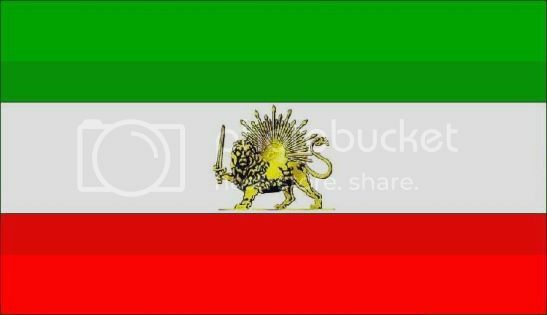 “It is ‘Eurabia,’ a colony of Islam, where the Islamic invasion does not proceed only in a physical sense, but also in a mental and cultural sense. Servility to the invaders has poisoned democracy, with obvious consequences for the freedom of thought, and for the concept itself of liberty." However, it was not so much the Islamiofascists that raged against her, it was the Left in Europe, that hated her more. Although she was their darling during the Vietnam war for her reports and her interviews with the likes of Henry Kissinger, suddenly she became their hate figure, because she dared to side with American and Western democracies against Islamofascists, the gravest sin ever for the European Left. Her sentence of two years imprisonment, for insulting Islam, by the Italian judicial system, will remain a shameful stain on the Italian judiciary forever. "critical of Islam and Arab culture"
No, the books were openly racist. i don't know much about her other than the brief news reports at her death. She certainly seems principled and i will check out her books. The juxtaposition and even contradiction between Islam and 'democracy' is becoming increasingly apparant and perhaps this journalist was ahead of her time. I do believe women like her are the one who opened the window of opportunity to the rest of us to fight for our independence and freedom. As a woman & as a writer, as a researcher of True Islam, I am passionate about knowing the truth and teaching it. Oriana Fallaci's life was dedicated to find the truth. I believe she did not crticized Islam but the version of Khomani's, Bin Laden's ...etc. Even though I am a practising Muslim, I believe the hard-liners are nothing but a cancerous cell growing on the body of Islam, eating it's flesh away. And therefore, they must be stopped. The kind of Islam I teach is not based on barbaric rules of killing others to reach to the key to heaven. But it is the teaching of all the men of God. But what did we we do for humanity? Oriana Fallaci, could be from any race or any religion, that matters very little to God. But what is important, she was trying to make a difference in the lives of fellow human being. That is what all of us should be doing. There is a Persian proverb that says, the dead is only the person who is never going to be mentioned... the living is the one we hear from her or him all the time. I have a feeling Oriana Fallaci came to us ahead of our time, and her life among us and her work to make us better people, is just about to begin. I wish we had more women like her, and I pray that she will be carried on the wings of angels toward the heaven. A Somali cleric associated with the Islamist movement in that country has called on Muslims to "hunt down and kill" Pope Benedict XVI for his comments about Islam adn violence. 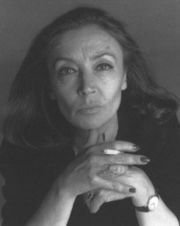 Oriana Fallaci, who died of cancer today aged 77. Relentlessly opposing Islamic extremists until her dying breath, she lived a life of passion and died a courageous death, always fighting for what she believed in. An inspiration to us all, I loved her deeply not only for everything she bravely stood for, but for having the magnificent courage to say it. I am greatly saddened by her departure form a world which needs her now more than ever. Constantly forewarning us of the inevitabilities of an “Islamic colony” formerly known as Europe, she predicted much of the decay we see all too evident today. And there it is. The apoplectic reaction of the Muslim world, which is barely in first gear of course, couldn't be a better testament to the continuing verity of the Byzantine Emperor's observations; no matter whether 1,500 years ago, 700 years ago or at the present day. Lost is the Pope's powerful call for an urgently needed dialogue between the religions of peace and Islam. BTW, Islam is not a race. It's an ideology/dogma that should be criticized just like any other religion without having to being subjected to fatwas of beheadings and being bullied into silence by a violent mob of Islamists. Her courage is an inspiration. Reading about her interview with the Mullah Khomeini, I came to like her "provocative style".